There sure is a lot to love about Adobe’s suite of creative software. The main point is, Adobe is the industry standard for professionals and wanna be professionals alike. If you absolutely need the very best in terms of features and support, you will need Adobe’s creative suite. Adobe’s creative cloud may be the place to start for you if that’s the case. In this write up, we’re going to look at some of the best Adobe Photoshop alternatives. that can really get the job done. When Adobe shifted Photoshop and nearly all of its other products to a subscription model in 2013, it prompted an outcry from customers who didn’t want to be locked into monthly fee cycle. Four years later, despite the move being apparently successful for Adobe, subscription pricing continues to be a point of contention for many people, turning into an opportunity for many Image editing software developers. But paying $10 “every month”, is not something we would like to pay for an Image editing software. For the rest of us mortals. 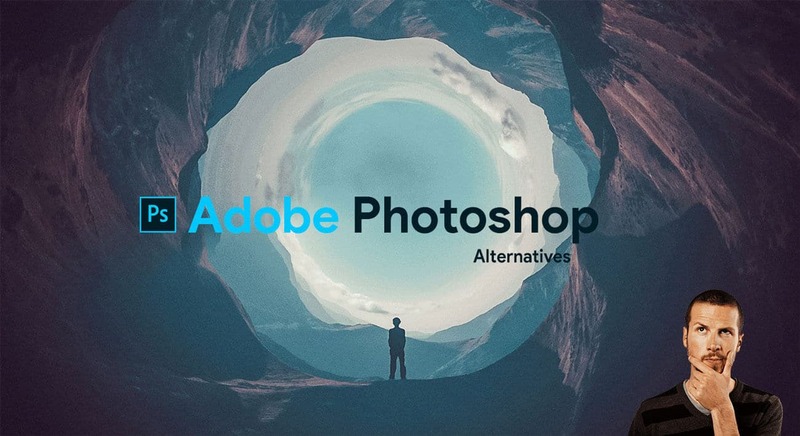 there are plenty of FREE options that can yield the same results with a little effort, so here goes some of the best Adobe Photoshop Alternatives. Probably my personal favorite, and not because of the double entendre style name, is GIMP which stands for GNU Image Manipulation Program. This beautifully crafted and extremely versatile alternative to Photoshop is an absolute powerhouse. It does takes some time to get used to, but it’s surely the best free alternative to Photoshop that you can find in the market. Different higher level editing options like image filtering, stitching multiple pictures together, and so on can be done with aplomb in GIMP. This free tool was generated nearly 20 years back, from then, it has evolved a lot as a Photo editing software. Any level of Photo editing task can be done in this tol. It was originally designed to be for Linux machines as an open source alternative to Photoshop but has since made its way to several other platforms like Windows, Mac, and UNIX based machines and can be compiled from source. It also features plugin support just like Photoshop to add to, and enhance, its features. 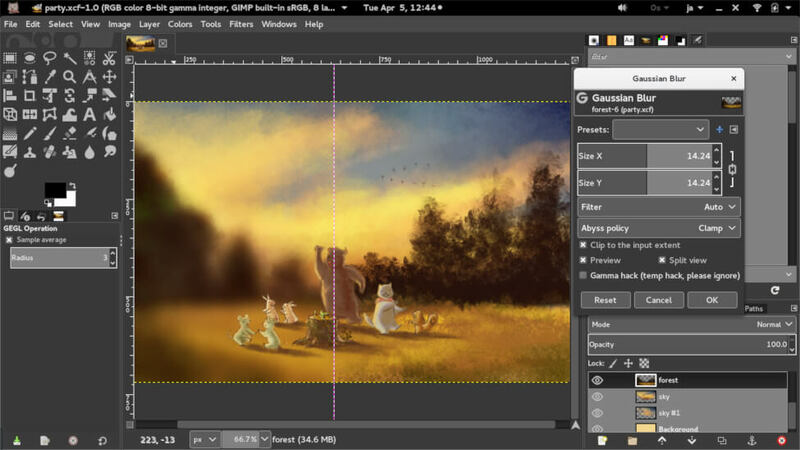 Krita is a fast, free, and open source art tool that was developed by artists looking for something that met their needs without a ton of bloat or overhead. Plus, it’s completely cross-platform. 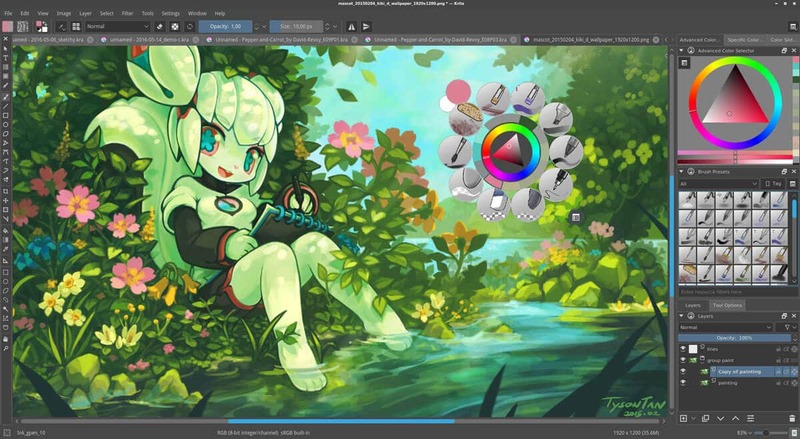 Krita can even support, open, and edit Photoshop’s own PSD files, so you can give it a try if you’re thinking about making the switch without worrying that you won’t be able to work on the projects you already have. Similar to Photoshop, PhotoPea has Layers – to split images into several parts, Layer masks – just generally useful, Blend modes – specifying, how layers “combine” with each other, Brush – there must be a way to change the color of pixels, Selections – choosing, which pixels of layer you want to edit and Procedural adjustments – changing brightness, hue, saturation, convolutions (blur, sharpening …) etc. Paint.net is an excellent alternative if you’re sick of the photoshop bloat and just want something to load quickly and handle only the most fundamental of features like layers, plugins, etc then Paint.net is your best bet. 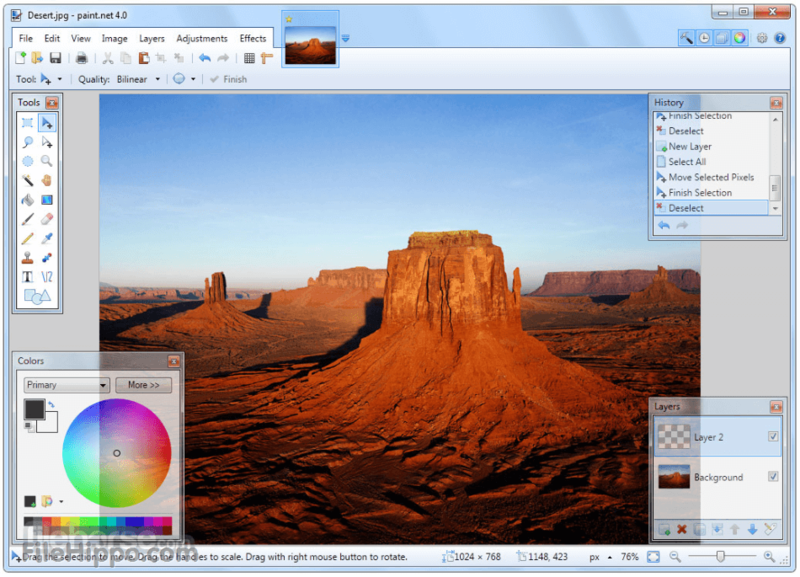 The tool is less powerful than GIMP or Photoshop, but it takes well care of all the basic features you would ever require in an image editing tool. If you ever need any feature, you can search through different plugins developed by the vast community supporting this platform. Basically, if you like Microsoft Paint but wish it was more powerful, then you’ll love Paint.net however it is available only for Windows so if you are running Linux or Mac then you’re out of luck. 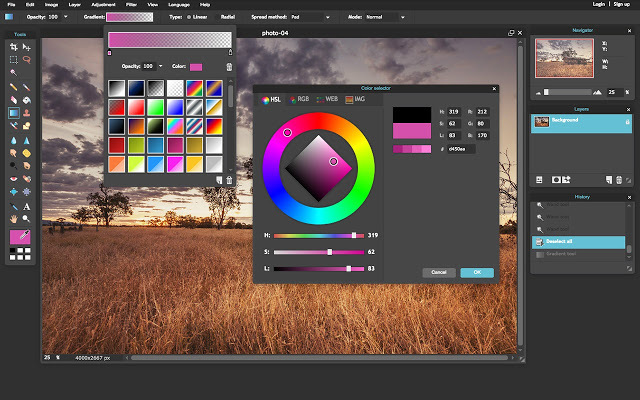 PIXLR is an awesome choice from Autodesk, the same folks who maintain products like AutoCAD, Maya, and 3DS Max, and is cloud based as well as downloadable. This is probably the best Online based Image editor which loads this quickly and processes changes in secs. 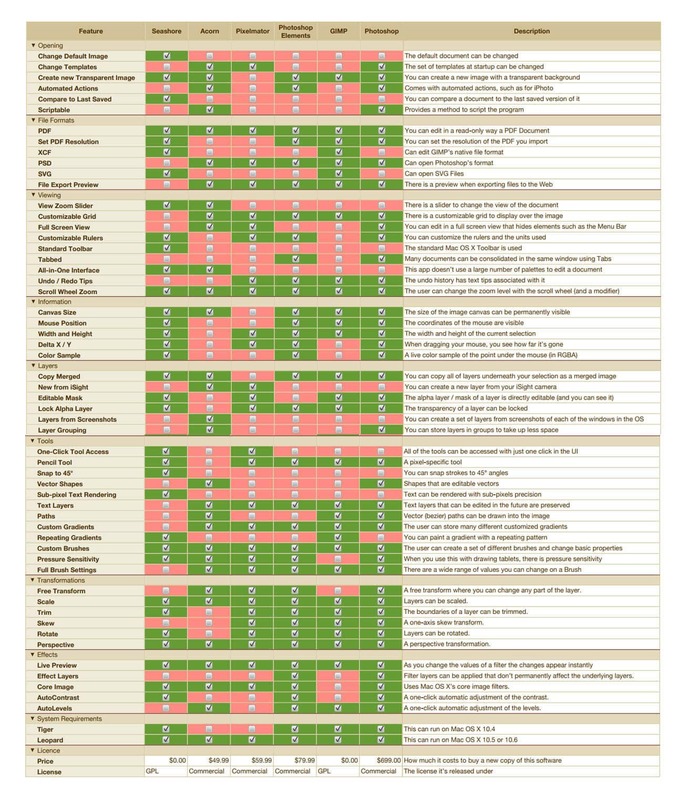 If that’s not enough, it has similar keyboard shortcuts, user interface and features as that of Adobe Photoshop CS6. It runs on pretty much everything you can lay your hands on; Windows, Mac, Linux, Mobile, and web based. Pixlr may not be “industry standard” quality, but it’s packed full of useful features and you can rest assured that it won’t go belly-up anytime soon. 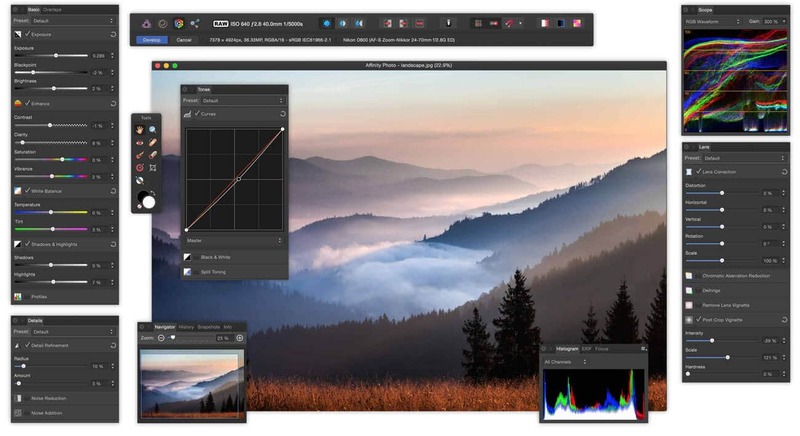 If you’re searching for Photoshop Alternatives to perform Complex Photoshop operations in one click, Photo Pos Pro has got you covered. This neat looking tool comes with 2 modes with different interfaces for both novice and advanced users. The novice option puts one-click filters and automatic adjustments at the fore, while the latter closely resembles Photoshop. 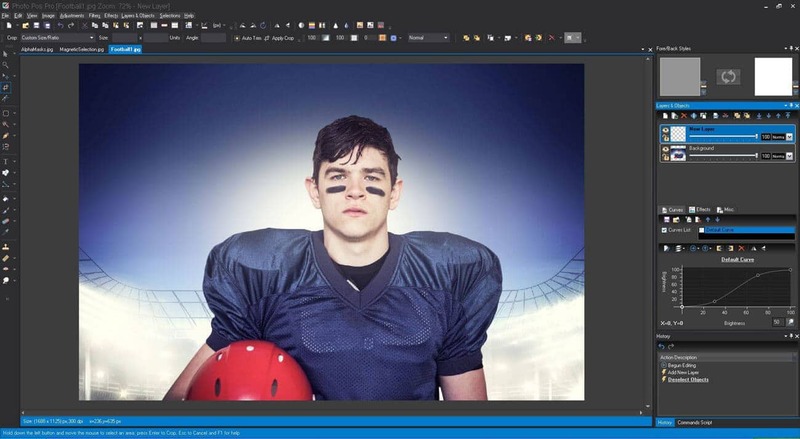 Just like Adobe Photoshop, Photo Pos Pro also offers layers and layer masks and spot healing brushes. To make things more quicker, this also allows importing images directly from Scanner or camera to the editing dashboard. The only drawback with the free version is the saved file size limit i.e 1,024 x 2,014 pixels. But if you’re convinced with the free version, you can opt-in for the paid version for a very less price of £17.67 (US$20, AU$30). If you’re not a Photoshop pro or you don’t use the “Pro Tools”, this one would be a perfect option for you. Adobe Photoshop Express allows you to perform basic Photoshop operations like crop, rotate and resize pictures, adjust the usual variables like brightness and contrast, and remove red-eye. While this doesn’t offer Photoshop level of control, but then this does cost lot less than the creative cloud package. You can use the free variant of this tool on your Android, iOS and Windows devices. Along with above features, Express tool also comes with Dodge, Burn, and Highlight tools with less options. Who needs so many options when we hardly use few of them? Along with tools, this alternative comes with few filters like Crystallize, Pixelate, Sketch, Distort and Pop Color which are decent for a mid-level editor. Except for some adobe proprietary algorithms such as the spot removal tool in PS, it is just as good as PS. 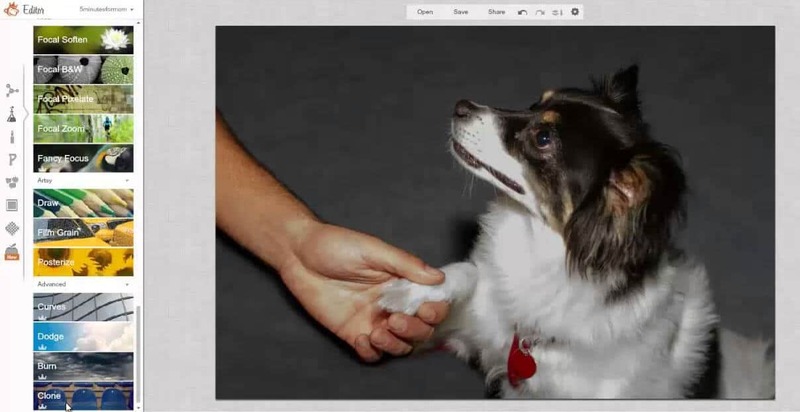 From the founders of Picnik, which was acquired by Google and was later rolled into Google+, PicMonkey offers a neat web interface with lots of features to play around with. 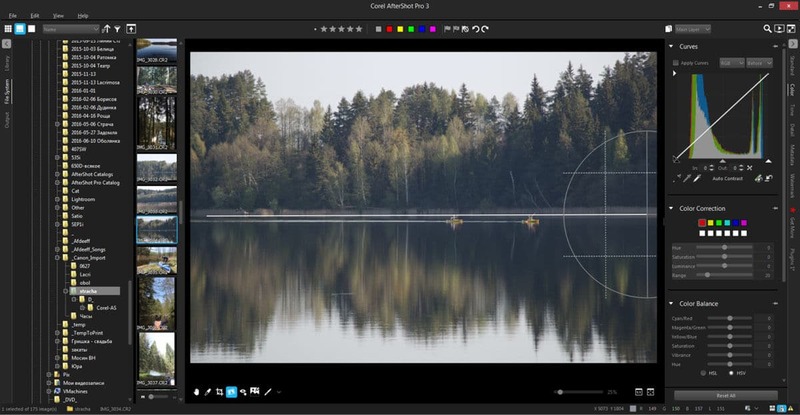 This offers many filters that can allow you to edit your images in clicks like a pro! Getting started is pretty easy as compared to other editing alternatives. Shapes, textures, and text can be added with a couple of clicks, and there are some cool Instagram-style effects to play around with too. If you want to change “Free” to “low cost”, Pixelmator Pro would be my first choice. It’s clean and (relatively) intuitive interface, supports layers and, most important to me, has a content aware fill feature. If you have tried the old Pixelmator tool, you would surely love this Pixelmator Pro tool. The new software has a redesigned look and an array of new tools for jobs including retouching photos, creating vector graphics, digital painting, and designing layouts. Fortunately (for Mac users) and unfortunately (for Windows/Linux), Pixelmator only supports Mac. 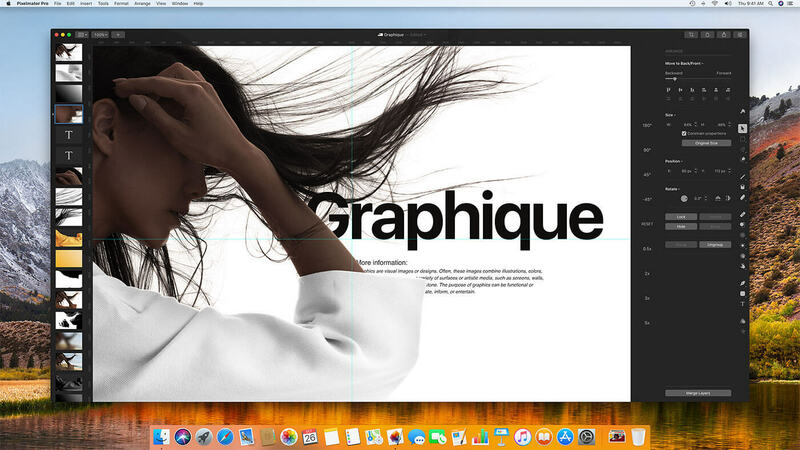 The company describes it’s new software totally and completely Mac; which means less clutter, tabs for switching between different edits in a single window, and the removal (mostly) of floating tool windows in favor of sidebars. There’s also full support for split-screen multitasking, iCloud syncing and backup, and a custom key layout for the Touch Bar on the MacBook Pro. The other exciting change is a set of new machine learning-enhanced tools, integrated into Pixelmator Pro using Apple’s new Core ML API. These include a new Quick Selection tool that Pixelmator says snaps to boundaries more intelligently than ever before; a feature that automatically labels different layers based on their content; and a Repair tool that will quickly and seamlessly remove and replace parts of any photo. You can see it in action here. Pixelmator is probably the best Photoshop alternative for Mac and Windows. Image editors and Photographers who want inexpensive image editing software, Affinity Photo is the choice to go with. While most Marketing experts provide price of a product at the end of the page, Affinity page starts proudly from pricing i.e “No subscription. Just $50”. This tool supports .psd files and all the standard formats. This is probably one of those Tool, which is very close to Adobe Photoshop. Affinity Photo comes with a huge range of high-end filters including lighting, blurs, distortions, tilt-shift, shadows, glows and many more. You can even enhance images with Levels, Curves, Black and White, White Balance, HSL, Shadows and Highlights and over a dozen other adjustments. Other features like Retouching, precise selection and 360° image editing can be found in Affinity Photo. This doesn’t has sheer quantity of features compared to Lightroom or Photoshop. But it has a few tricks up its sleeve that make it a very attractive alternative. For those looking for a solid solution outside of Adobe’s offerings, AfterShot can be an option. One of my favorite parts of AfterShot Pro 3 is its speed. Photos load almost instantly and switching between RAW files is as smooth as butter. Using this you will be able to find what features you need from the editor. After that, you can make an informed decision whether to stick with a free solution. So there you have it, 10 of the best (free & paid) alternatives to the editing powerhouse that is Adobe Photoshop. 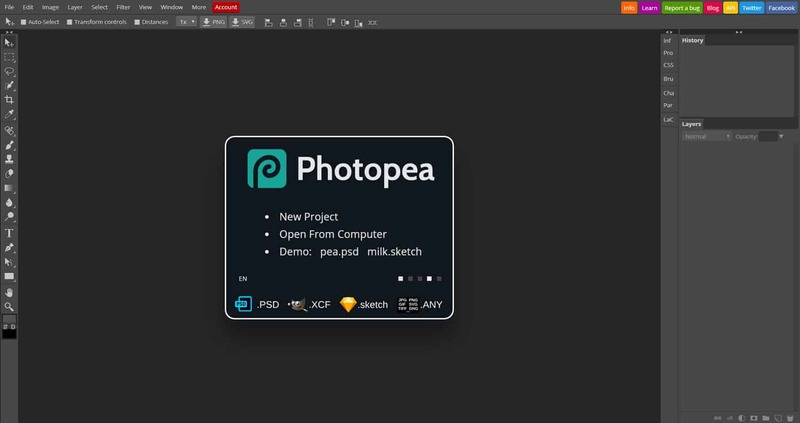 We have only included few free Photoshop alternatives that are online. We believe comparing an online editing tool with Photoshop won’t be fair. Weekly News Roundup: Blackberry Motion, Cortana, Jio bank, Essential Phone 8.0 update, Facebook VR and more.